I tried a little bit of a Halloween theme for these ones! Except my Jason nail looks nothing like Jason. I love the multicoloured eyes, there are so cute! This is my first attempt of nail art so if I can do it, you can! These are just standard cute nails, I tried stamping for the first time on the yellow nail however it didn’t work to well, it don’t know why but practise makes perfect right! I love the daisy nail again made with a simple dotting tool. I thought I would share my first nail art attempts with you. I really am enjoying nail art and would love your opinions and Ideas to create other designs. 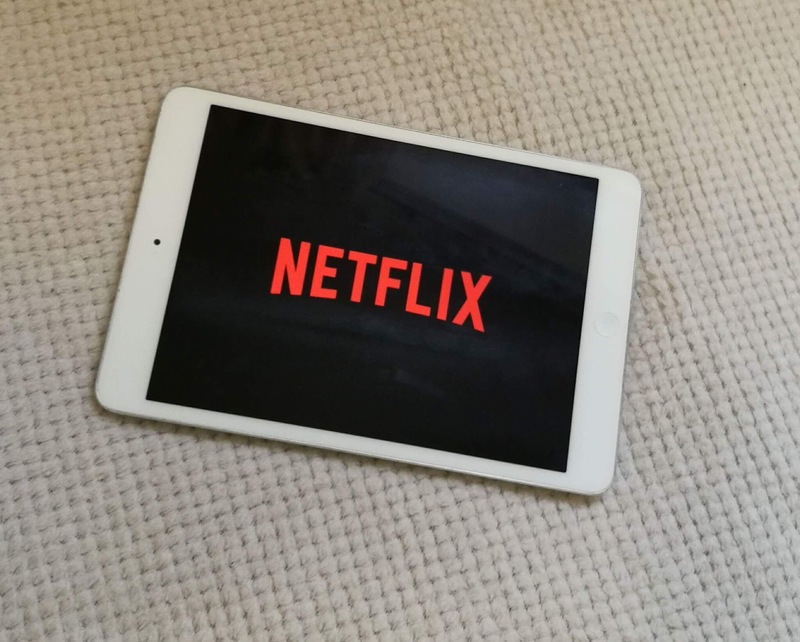 Hello sweets today I’m sitting watching Netflix all day long therefore i thought it would be relevant to share my favourite TV picks. I’m nearly on the last season, i adore this show…. it’s addictive. If you like a serial killer plus forensic blood splatter analysis in one, this is the show for you. American Dad and Family Guy are great but they have slowed down a bit and watching the same episode over and ever isn’t fun. Rick and Morty is like these shows but a scientist and his grandson. BLOODY BRILLIANT, I find nothing funny but this is hilarious. Think of a more adult version of Thw Vampire Diaries, not that The Vampire Diaries isn’t great because it’s amazing. However take away the high school part and we have the Originals, plus Klous is definitely something good…. This had me on the edge of my seat well… bed, all season. It was full of twists and turns and it’s definitely so,etching to watch amazballs. 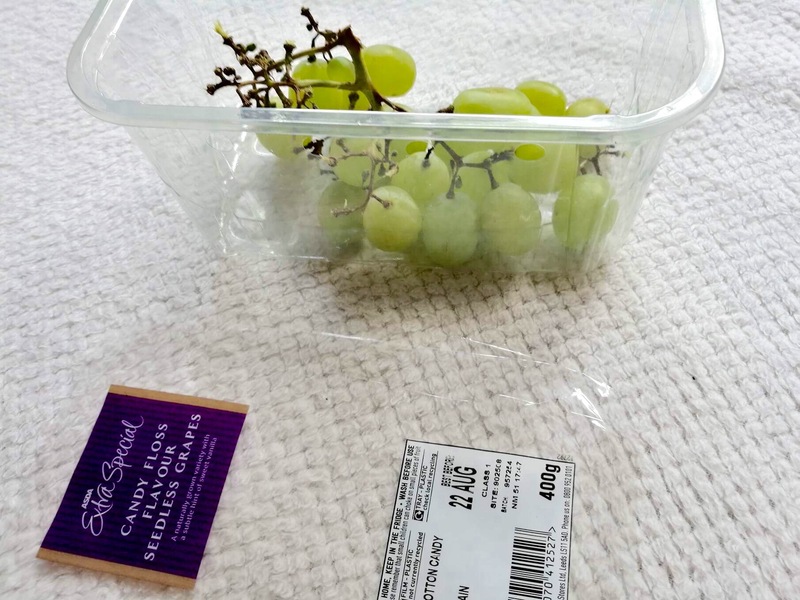 Candy Floss Grapes are amazing. It’s not like when you get a flavoured thing and it tastes nothing like it, it’s very candyflossy! It makes healthy eating a tad bit easier. Harribo Milkshakes are the best Harribos around yumm yumm yumm. Number one… I have finally started to take driving lessons, yes I know I’m a little late but I never had the money but now I do(well I’m scraping together every penny to be a adult with a car that might possibly have eyelashes). How do I have the pennies to scrape up you may ask well… another adult step. A proper job…kinda, well they call when they need me thank god that’s a lot lately otherwise my dreams of having a mint car with eyelashes is over. I get I have to pass the test yet for my dreams to become reality but we have to start somewhere! It’s mine and my boyfriends 3 years next month and he brought me some beautiful shoes, now they are no Jimmy Choo but to me a pair of converse is so much more exciting than a pair of heels I am unable to walk in leaving myself looking extremely strange to everyone around me. 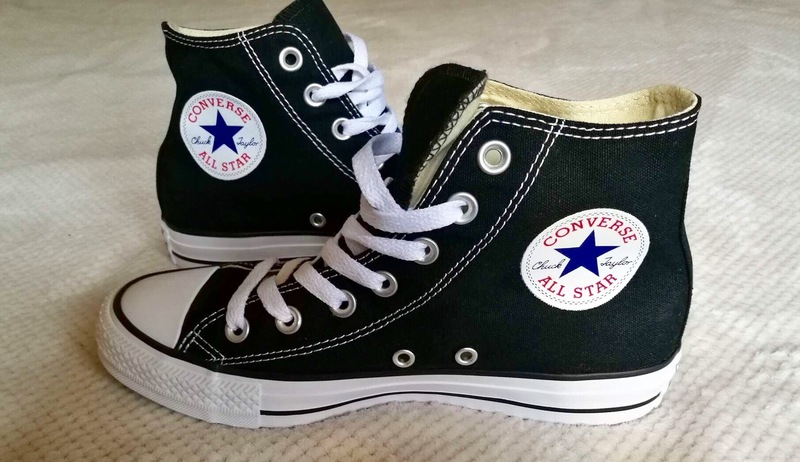 Just the original high top converse. Whenever I buy converse I go for crazy colour schemes and out there patterns but the original pair are the best bloody thing ever! I also have been using a new toothpaste and mouthwash… more adult things(truly a adult when toothpaste excites you). 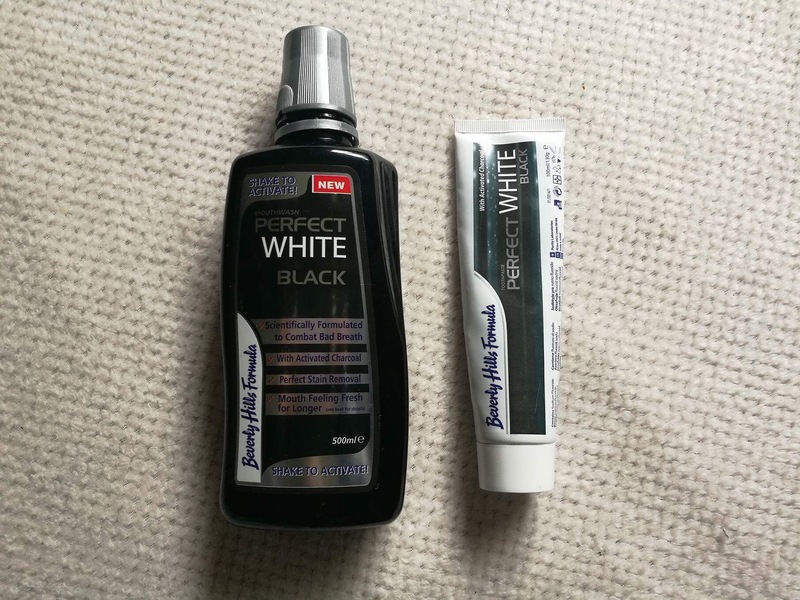 This is the Beverly Hills Formula Perfect White Black mouthwash and toothpaste. This can be brought in superdrug for £4.99(i got mine on sale for £1.50… bargain!) I never thought these ‘whitening’ products worked but this works wonders. 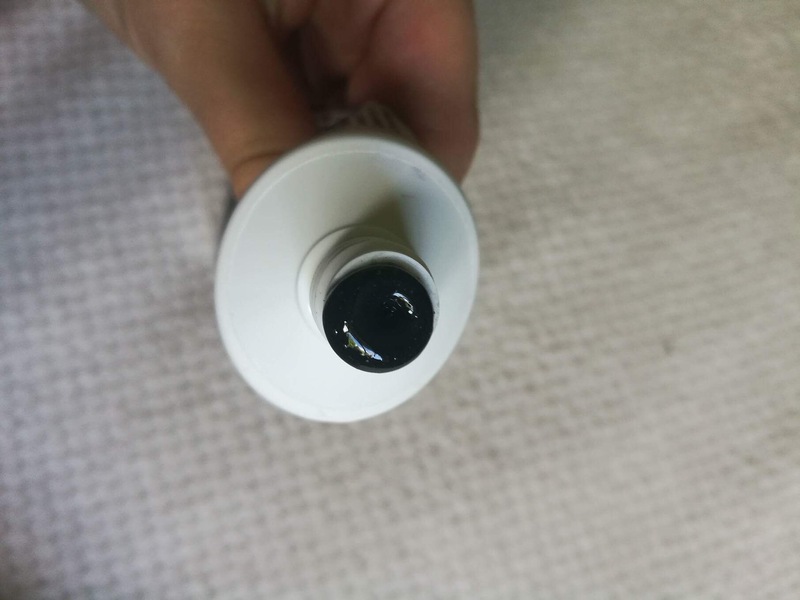 Must say it’s a little strange using black toothpaste but it becomes normal. Tea and coffee stains are removed and my teeth have never looked better plus I’m definitely a fan of a bright smile. That’s all from me sugar dumplings(naa that one isn’t great). Let me know if you love Beverly Hills Formula as much as me and if you are a converse or heels girl! 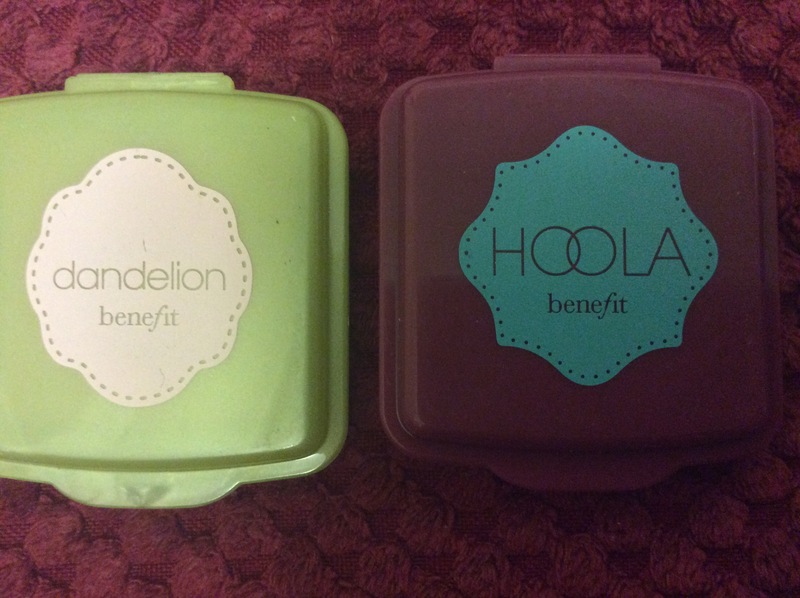 Benefit Hoola Bronzer and Dandelion Blush/Powder. Today I will be reviewing two Benifit products. I love Benifit products so much, they are so temping to buy but are also incredibly expensive. What I tend to do to avoid wasting my money, is to buy the mini versions of the products. I adore these, it gives you a chance to try the product and decide weather it’s worth spending all that money on, before actually having to spend the money. 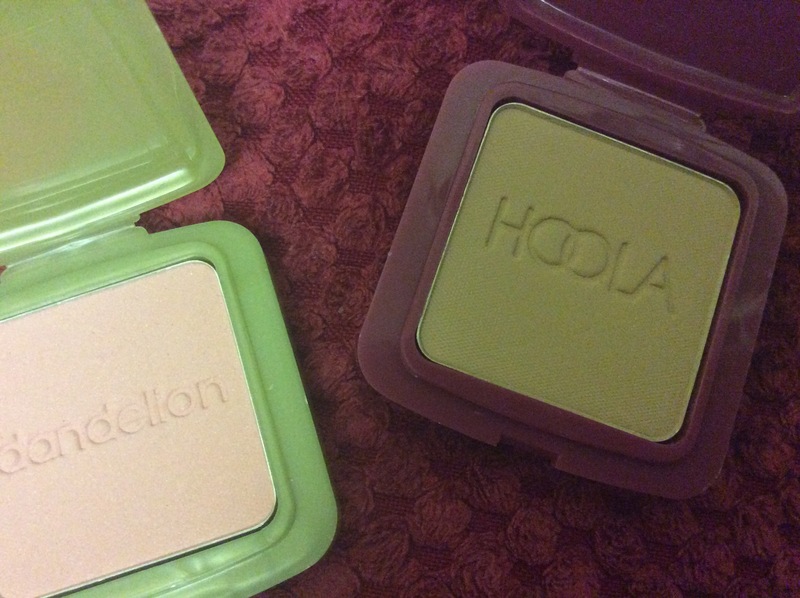 Today I will be reviewing the Benifit Hoola Bronzer and the Dandelion Blush/powder. These are the products. 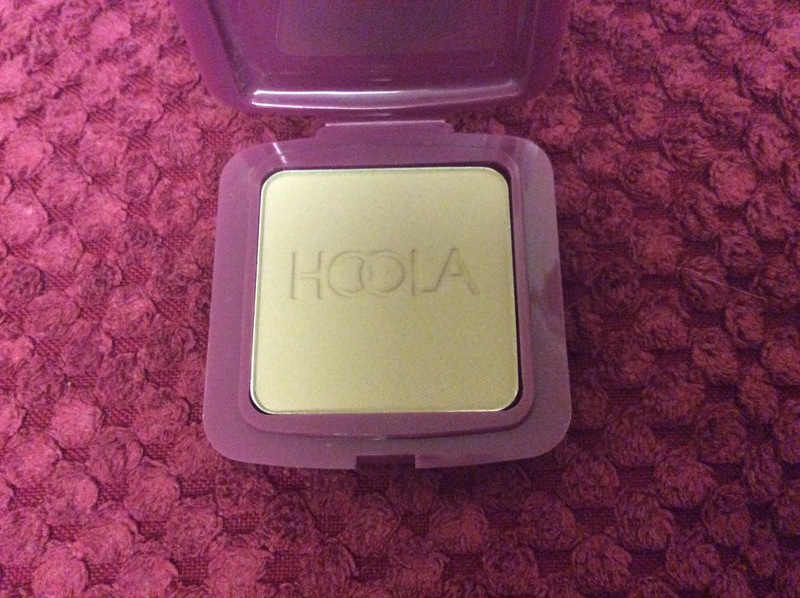 I have the full size version of the Hoola Bronzer as I got it as a gift and I don’t like the packeting as its cardboard which can break easily, however the mini version seems to have a plastic casing that actually secures really well. So first off my favourite , Hoola. The thing I love most about this bronzer is that’s it’s got no orangey tones to it at all, which is somthing I like in a bronzer, as sometimes they can leave you looking a tad orange rather than bronzed. It’s also matte which is amazing as I tend to prefer matte blush and bronzer then all the focus of shimmery goodness on the main event – THE HIGHLIGHT. It is a very suitle colour, not to dark but still very buildable if you wanted a more dramatic look. The colour blends so easily without caking or leaving patchy marks, just a very smooth even look. I would definely recommend this product. I always thought this was just a blush, I was wrong! It’s a brightning face powder too, who would of known. 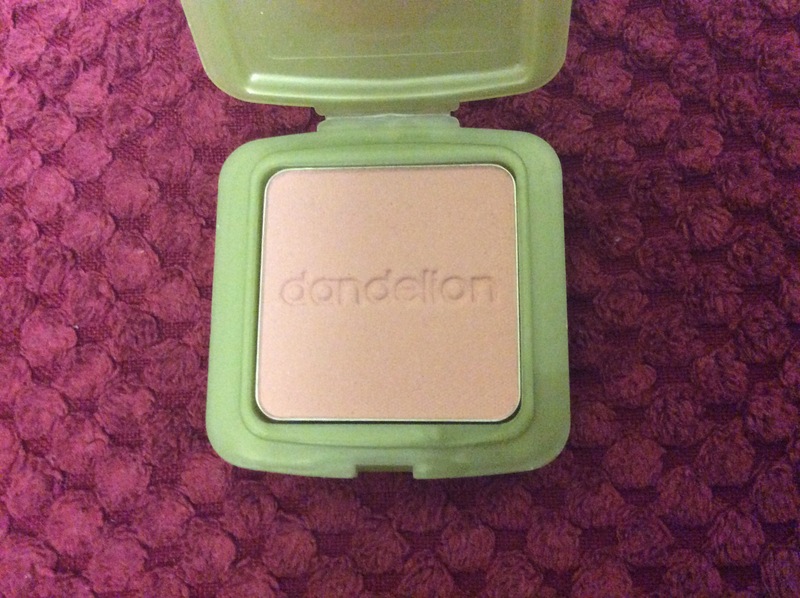 I personally wouldn’t use it as a face powder as I’m quite pale and I don’t want to look like a pink fairy on a day to day basis, If I’m honest I’m terrified of using this as a face powder, as its one of my favourite blushes. Just like the bronzer it’s a suitle colour, a baby pink, almost matte but a few flakes of shimmer, and totally blendable- it’s like their the perfect match. I would say this isn’t very buildable for me personally, but what can I say I didn’t even know it was a face powder, and a buildable pink face powder would be a recipe for disaster. Overall love this as a day to day blush. Everyone has those few make up or beauty products they feel they need to try so bad, but are too costly for our purses and wallets to deal with, or even products that are not released yet! This is my Beauty Wish List. 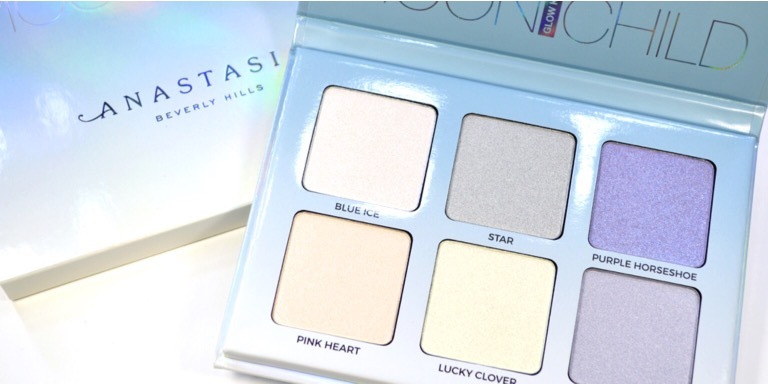 Anastasia Beverly Hills Moon Child Glow Kit. 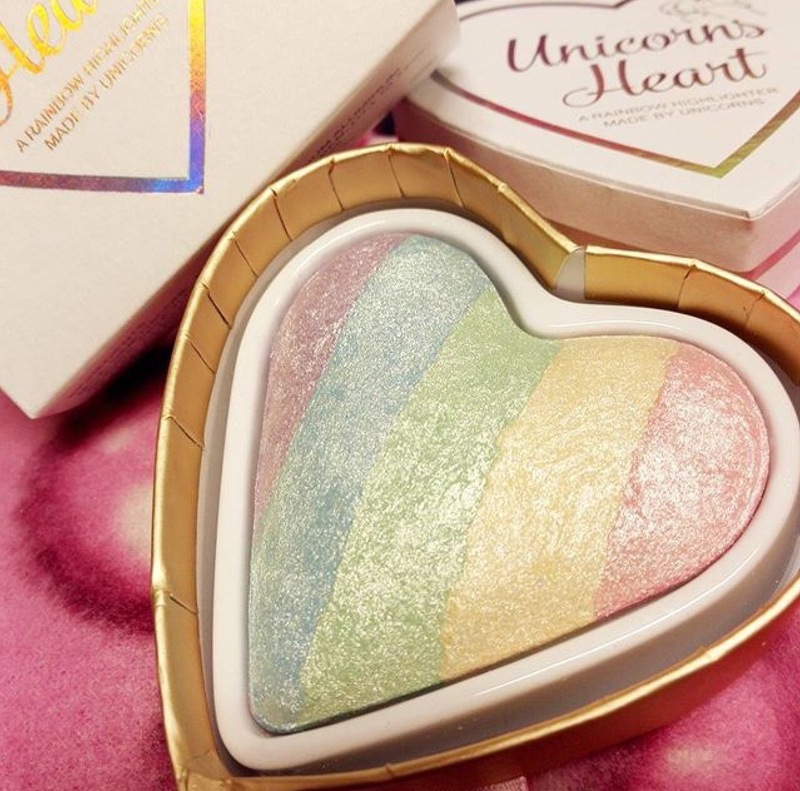 This is a product I want to try more than anything, these unique highlighter shades look so incredible, I’ve never seen any highlighters to be so gorgeous. Such a stunning range of different shades for every occasion, truly mezmorisimg. But at around £35 it’s something I just can’t afford right now. This is a new product just released by Revolution, I can’t wait to get hold of it! It’s a cheaper product retailing at around £5 but is truly stunning. As you can see I adore highlighters, what isn’t to like about looking like a shimmery princess. I’ve never tried coloured highlighters but there is just somthing so special about them that I have to try, plus the packaging is so cute. I have seen so many YouTubers using these brushes latley, and yes I’m sold! 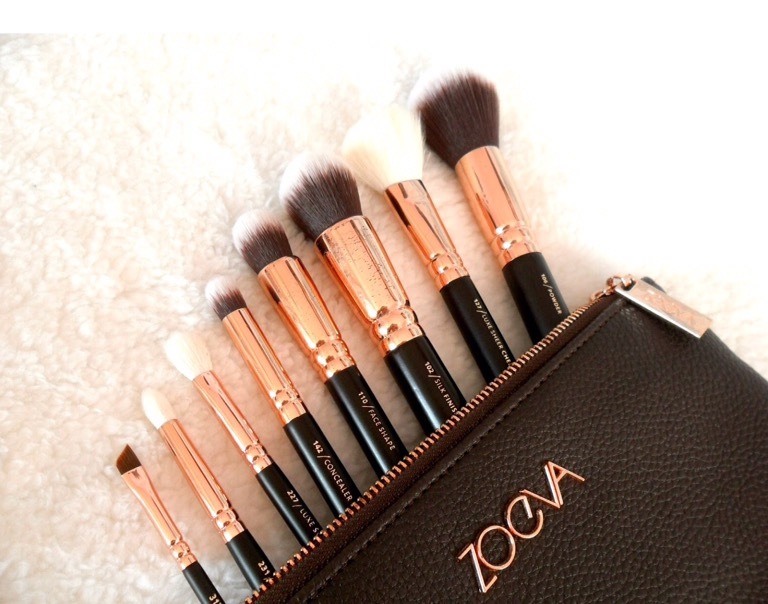 I have never owned expensive make up brushes I just never understood it, but latley I think they could make a difference to the way my make up looks and I would love to find out. They look so professional and come in the cutest pouch, but at £50 it’s definitely on the wish list! That’s all for now girlies, I will be adding to this wish list as you will understand a girls beauty wish list is never ending.